With sites in Leeds, Harrogate & Wakefield you can have 24/7 access to your items. McCarthy’s Storage World Harrogate is your first stop for self-storage in Harrogate and North Yorkshire. Our storage centre in Harrogate provides all the same great features as our Leeds self-storage site and is continuing to grow. Our friendly team of experts are on hand to help you with any query and can guide you through exactly how our services work. McCarthy’s aim to provide Harrogate and the surrounding area with the whole package from self-storage units of all sizes to hire vans and removal services from a handy location. Our Harrogate Storage site on the A61 is just north of Harrogate town centre opposite The Hydro Swimming Pool, providing easy access to Leeds, Ripon and the A1. McCarthy’s Box Shop – Storage World Harrogate also has a packaging shop with all the materials for packing your items. Price Match Guarantee – We are confident that our self-storage service is the best in the Harrogate area, our price match aims to provide that at a competitive rate. Security – Security is paramount at our self-storage site and we aim to ensure this with CCTV, remote monitoring and on-site security. 24/7 Access – Every customer at our Harrogate site is offered 24/7 PIN access to their goods as an added option. Goods Receipts & Delivery – A delivery and dispatch service that ensures that stock and documents are safe when you are unavailable. 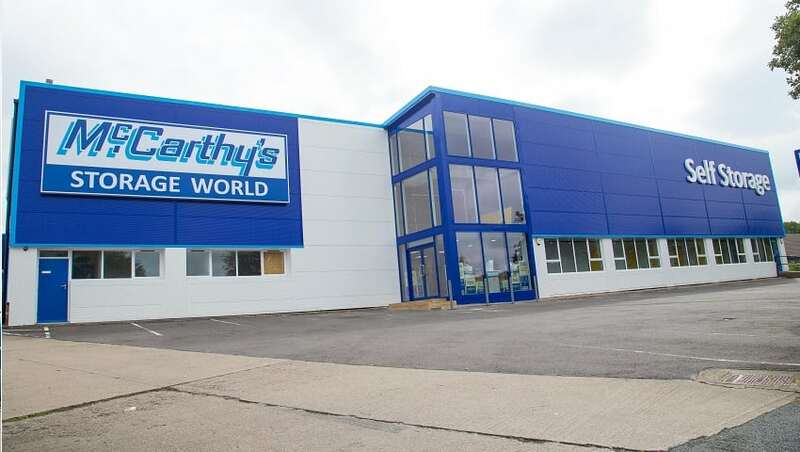 McCarthy’s Storage World Harrogate is ideal for a new or growing business. Our storage services are ideal for the security of stock and also providing the access required. Our additional services from shredding, document management and van hire means that business solutions from McCarthy’s could really help your business.